The level is one of the most important tools when building and setting up racks. Establishing a level frame is necessary to build a stable and rock solid foundation. 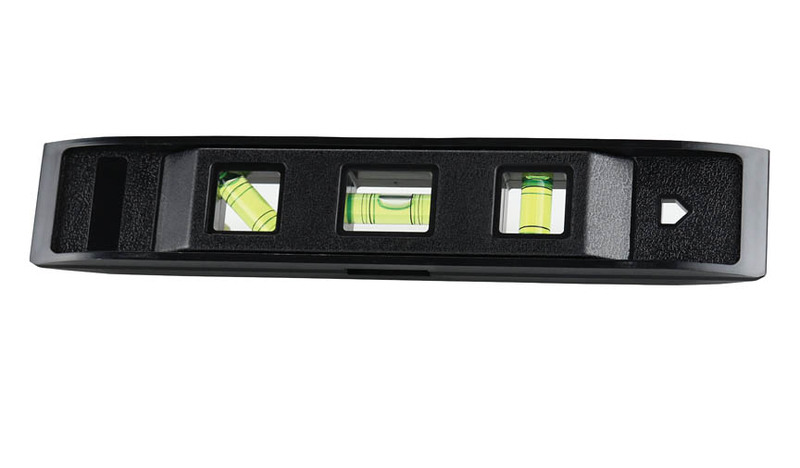 The SC-GMLVL Magnetic Level will help to cut down set up time and increase stability by helping to ensure that all connecting bars and clamps are in the correct position. Being a 3-way level; you can measure in 3 different positions; horizontal; vertical; and 45 degrees. Also; the magnetic strip allows you to measure the level of a bar hands free.